1. My employer hasn’t given me a paycheck for the hours I have worked. What should I do? 2. On my last paycheck, I was shorted several hours. What should I do? 3. My employer paid me, but the paycheck bounced. What should I do? 4. My employer is not paying me the minimum wage. What should I do? 5. My employer is not paying me overtime. What should I do? 6. When my cash drawer was short $15.00, my employer deducted it from my paycheck. Since it wasn’t my fault, is there anything I can do? 7. My employer won’t pay me the bonus I was promised. What should I do? 8. My employer won’t pay me the commissions I earned. What should I do? 9. My employer has filed for bankruptcy and has not paid me for all of my time worked. What should I do? 10. What is Wage Theft? 11. How do I know if I am a victim of wage theft? 12. How are my rights being violated if I am a victim of wage theft? 13. How can I avoid falling victim to wage theft? 14. I think I might be a victim of wage theft. What can I do? 15. Who enforces the law? 16. What are the remedies available to me? 17. How do I file a complaint/How long do I have to file? Once you learn that you will not receive a paycheck on your usual payday, it is important to keep a record of your hours worked during the relevant pay period, and any additional expenses that you suffer due to receiving your paycheck late. You may first want to ask your employer for an explanation, to determine whether the failure to receive a paycheck was due to a processing error or bank mistake, rather than because the employer does not intend to pay you for the hours that you worked. In this situation, the employer and/or bank may voluntarily agree to cover any additional charges you incurred as a result of this mistake. This will also ensure that you are not at fault for failing to submit records for the hours that you worked. Many states have laws that require employers to pay employees for all hours worked, and which require employers to pay employees at regular intervals, such as biweekly or semimonthly. These laws may impose penalties on employers who do not comply with the law, and may even provide for criminal prosecution. In states that have their own wage and hour laws (or if you are not covered by the federal law, you should contact the agency in your state which handles wage and hour/labor standards violations, listed on our site’s state government agencies page. Federal laws that require you to be paid at least minimum wage for hours worked are enforced by the Wage-Hour Division of the U.S. Department of Labor. However, if you received at least the minimum wage for the hours that you worked, the federal agency will not be able to help you, even though you were not paid as agreed for the hours you worked. If your state does not have a specific law covering this situation, then you should consult with the Department of Labor and/or a local attorney to determine how to proceed. You may also wish to pursue an action against your employer in small claims court, depending on the amount owed you. Once you learn that a paycheck is incorrect, it is important to keep a record of your hours worked during the relevant pay period, the pay stub you received, and a copy of the check if you are forced to cash it before a new paycheck is issued. You may first want to ask your employer for an explanation, to determine whether the reduced amount of the check was due to a processing error or bank mistake, rather than because the employer does not intend to pay you for the full amount of hours you worked. In this situation, the employer and/or bank may voluntarily agree to cover any additional charges you incurred as a result of this mistake. This will also ensure that you are not at fault for failing to submit records for all hours that you worked. Many states have laws that require employers to pay employees for all hours worked. These laws may impose penalties on employers who do not comply with the law, and may even provide for criminal prosecution. In states that have their own wage and hour laws (or if you are not covered by the federal law), you should contact the agency in your state which handles wage and hour/labor standards violations, listed on our site’s state government agencies page. Federal laws, that require you to be paid at least minimum wage for hours worked are enforced by the Wage-Hour Division of the U.S. Department of Labor. However, if you received at least the minimum wage for the hours that you worked, the federal agency will not be able to help you, even though you were not paid as agreed for the hours you worked. If your state does not have a specific law covering this situation, then you should consult with the Department of Labor and/or a local attorney to determine how to proceed. You may also wish to pursue an action against your employer in small claims court, depending on the amount owed you. Once you learn that a paycheck has bounced, it is important to keep a record of your hours worked during the relevant pay period, the pay stub you received, and all documentation from your checking account that confirms that the payroll check was returned for insufficient funds and lists any additional expenses you incurred as a result. You may first want to ask your employer for an explanation, to determine whether the returned check was due to an accounting error or bank mistake, rather than because the employer does not have the funds to cover employee payroll expenses. In this situation, the employer and/or bank may voluntarily agree to cover any additional charges you incurred as a result of this mistake. Many states have laws that require the employers to have sufficient funds to cover all payroll checks. These laws may impose penalties on employers who do not comply with the law, and may even provide for criminal prosecution. In states that have their own bounced paycheck law (or if you are not covered by the federal law), you should contact the agency in your state which handles wage and hour/labor standards violations, listed on our site’s state government agencies page. Federal laws that require you to be paid at least minimum wage for hours worked are enforced by the Wage-Hour Division of the U.S. Department of Labor. If your state does not have a specific law covering bounced paychecks, then you should consult with the Department of Labor and/or a local attorney to determine how to proceed. The federal minimum wage is $7.25 per hour. Some states have their own minimum wages rates. If the state minimum wage rate is higher, then the state law applies. For more information, see our site’s minimum wage page. The federal minimum wage is enforced by the Wage-Hour Division of the U.S. Department of Labor. In states that have their own minimum wage law (or if you are not covered by the federal law), you should contact the agency in your state which handles wage and hour/labor standards violations, listed on our site’s state government agencies page. For more information on filing a minimum wage claim, please see our site’s filing a complaint page. Eligible workers who work more than 40 hours in one week must be paid one and one-half times their regular pay for every hour worked in excess of forty hours. For more information about whether you are eligible for overtime pay, please see our site’s overtime page. Some states also have overtime pay laws. If both state and federal overtime laws apply, the employee is entitled to whichever overtime protection is most strict and provides the most protection to you as an employee. The overtime laws are enforced by the Wage-Hour Division of the U.S. Department of Labor. 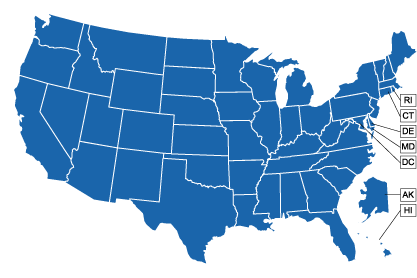 In states that have their own overtime law (or if you are not covered by the federal law), you should contact the agency in your state which handles wage and hour/labor standards violations, listed on our site’s state government agencies page. For more information on filing overtime claim, please see our site’s filing a complaint page. You may be surprised to learn that the answer may be no, depending on what you make. The only requirement under federal law is that if the employer chooses to have you bear the cost of the cash register shortage, the deduction cannot take your pay below the minimum wage and/or reduce your overtime compensation. For example, if an employee who is subject to the statutory minimum wage of $7.25 an hour is paid an hourly wage of $7.25, the employer may not make any deduction from the employee’s wages for the cash register. However, if you make more than the minimum wage, so that the deduction does not take your pay below the minimum wage, the employer is legally entitled to deduct the cost of the cash register shortage from your pay. For example, if the employee were paid $7.60 an hour and worked 30 hours in the workweek, the maximum amount the employer could legally deduct from the employee’s wages would be $10.50 ($.35 X 30 hours). If the employee is paid an hourly wage of $9.25 per hour and worked 30 hours in the workweek, the maximum amount the employer could legally deduct from the employee’s wages would be $60.00 ($2.00 X 30 hours), so the full $15.00 deduction for the cash register shortage would be allowed under law. Some states have laws that more narrowly limit the deductions which may be taken for cash-register shortages and other work-related items. If you still have questions about your state’s laws relating to deductions, then you may wish to contact the agency in your state which handles wage and hour/labor standards violations, listed on our site’s state government agencies page. The Fair Labor Standards Act does not require the payment of bonuses, so employees cannot enforce their right to receive a bonus by going to the federal agency that enforces the FLSA or going to court under the FLSA. However, that does not mean you are completely out of luck if you did not receive the bonus that you were promised, as you may have a contractual right to receive the bonuses that you earned. First, you must be certain that you had a clear agreement with your employer about the bonus pay. If you did, you should draft a letter to your employer notifying him that you are not receiving your promised bonuses. If that does not resolve the case, you can seek the bonuses in small claims court if the amount is relatively low. Small claims court generally does not require an attorney and the filing fees are low. If the amount is large and your state small claims court will permit, you should seek an attorney. The Fair Labor Standards Act does not require the payment of commissions, so employees cannot enforce their right to receive a commission by going to the federal agency that enforces the FLSA or going to court under the FLSA. However, that does not mean you are completely out of luck if you did not receive the commission that you were promised, as you may have a contractual right to receive the commissions that you earned. First, you must be certain that you had a clear agreement with your employer about the commission pay-including the rate of the commission. If you did, you should draft a letter to your employer notifying him that you are not receiving your promised commissions. If that does not resolve the case, you can seek the commissions in small claims court if the amount is relatively low. Small claims court generally does not require an attorney and the filing fees are low. If the amount is large and your state small claims court will permit, you should seek an attorney. Some states have laws that award attorney’s fees to employees in pursuit of unpaid commissions. When a business files for bankruptcy, its employees may have claims for unpaid salary, wages or commissions. Depending on the basis for the claim, all or some portion may be entitled to “priority” in the bankruptcy process. If your wage claim is entitled to priority, it might result in the claim being paid earlier than other claims or result in a greater prorated distribution than other creditors ultimately receive. Priority exists for unpaid wages owed to employees in an amount up to $4,000 in unpaid wages earned within 90 days before the bankruptcy filing. Wages include salary, commissions, vacation pay, severance pay and sick leave. Unpaid wages in excess of $4,000 per employee or earned more than 90 days before the bankruptcy filing are not entitled to a priority; such claims will be treated as general, unsecured claims and paid with other creditor claims. If you are continuing to perform work for a bankrupt employer, you may wish to verify that the bankruptcy court has approved wage payments in the amount of your prebankruptcy salary. The bankruptcy process may require employers to pay reduced wages, or may not allow for the payment of wages at all until there has been a final distribution of the company’s assets by the court. If your employer has filed for bankruptcy, and you have either not been paid or are concerned about your ability to be paid for your work in the future, it is recommended that you consult with a local attorney with expertise in this area. Bankruptcy is a complicated subject with special legal requirements. To ensure that your right to assert a priority wage claim is not lost, it is important to get expert advice before any filing deadlines which might affect your ability to recover some of your back wages. Wage theft is the illegal underpayment or non-payment of wages owed to workers. Wage theft most often occurs with low-income workers. -Are you working over 40 hours a week and not getting overtime pay? -Are you being misclassified as an independent contractor? -Are you being paid less than $7.25/hour and not receiving tips? -Have you not received payment for time worked? -Are there deductions on your paycheck that seem irregular or that you do not recognize? Wage theft can violate provisions of the Fair Labor Standards Act (FLSA), which requires a federal minimum wage and requires employers to provide for overtime pay for people working over 40 hours per week. The first step is to keep careful track of your pay and know what is being deducted from your paycheck. Know how many hours you have worked and make sure each hour is being accounted for on your paycheck. It is also helpful to know your rights regarding work and overtime pay. If you work over 40 hours a week, ensure that you are being paid proper overtime wages for the amount of time over 40 hours. Unionizing is also a way to avoid wage theft. Union workers negotiate a contract to receive pay, and if wage theft is occurring then union advocates can challenge the wages being paid. Unions also provide an outlet for expressing concern or complaining about employer wages. 14. I think I am a victim of wage theft. What can I do? You can file a complaint with the U.S. Department of Labor’s Wage and Hour Division, and include information regarding your job title, pay, hours, and additional information from pay stubs and other payment information. You can also pursue your case at a state level, with state labor and employment division resources. If you need further information about your state’s laws applying to unpaid wages and/or wish to report a potential state law violation, then you may wish to contact the agency in your state which handles wage and hour/labor standards violations, listed on our site’s state government agencies page. There are several different methods under the FLSA for an employee to recover unpaid overtime wages; each method has different remedies. ► The Secretary of Labor may obtain an injunction to restrain any person from violating FLSA, including the unlawful withholding of proper overtime pay. Your state law may have different methods for recovery of unpaid wages, and different remedies to be awarded to those who succeed in proving a violation. For further information, please contact the agency in your state which handles wage and hour/labor standards violations, listed on our site’s state government agencies page. Your state law may have different deadlines for recovery of unpaid wages. For further information, select your state from the map below or from this list.